One of the key requirements for becoming a great safety coach is a robust coaching framework. The origin of the term “coaching” originated in the mid-1800s and meant “to tutor or help prepare someone for an exam or contest.” Since then coaching has evolved into one of the most effective learning tools we have. Today, coaching is no longer focused on teaching but has evolved into a creative process that helps the coachee reach greater potential by eliminating their blind spots. There are many coaching niches such as executive coaching, leadership coaching, life coaching, and others. Professional coaches typically follow one or more frameworks in the process of coaching and the effectiveness of those frameworks depends on the context in which they are applied. 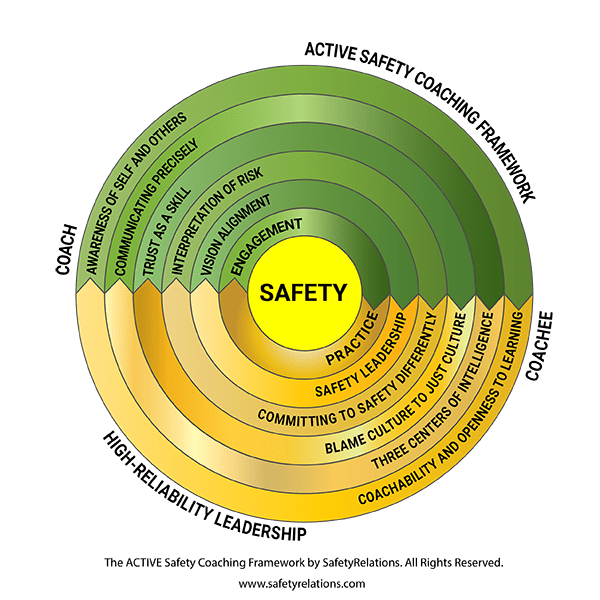 How is Safety Coaching Different? The need for coaching arises when the coachee has a serious challenge which, in the context of safety, could be anything from not reporting incidents, inability to ensure compliance, at-risk behavior, reducing incident rates or the need to shift away from a blame culture. Most of these breakdowns have severe consequences and can be life-threatening. That is what makes safety coaching different from coaching a leader for financial performance or other business objectives. Precision matters in safety coaching because there is zero tolerance for errors in many high-reliability organizations. We have developed ACTIVE framework with just one thing in mind, precision. As presented in this video, coaching is a structured conversation or a series of conversations that helps one see safety differently. Many safety meetings don’t produce the desired outcomes and are often seen as a waste of time. 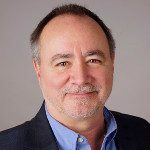 In such situations, our ACTIVE framework is an excellent method to generate breakthroughs because it addresses the root causes of imprecision in conversations. Let’s briefly look at each of the steps in this model. Coaching begins by identifying to what degree the coachee is coachable. This is determined by several factors including self-awareness and the coachee’s barriers to learning. Working with a coachee who lacks commitment or one who does not trust their coach will not produce useful outcomes. As a safety coach, you will learn to build trust quickly and to distinguish the behaviors of a committed coachee. It is not unusual that traditional coaching ends up in circular conversations that do not produce results. This is the challenge with coaching models based solely on talking. The ACTIVE framework includes an understanding of the mechanics of language and emotions which gives you the tools to communicate more effectively. Trust is a key element in a coaching relationship and is essential to shift organizations away from a blame culture. Many coaches assume that trust will “just happen” without considering that trust is an emotion, competence, and a risk-assessment tool. The ACTIVE framework includes specific steps that teach safety coaches to develop, maintain and repair trust and to coach non-judgmentally. Since each of us is a unique observer, it is natural that your coachee may have a different assessment of risk than you, their coach. Through the process of coaching, you will develop a shared interpretation of risk which results in the coachee committing to shift both their understanding and behavior. To be effective, your coaching has to be aligned to your company’s vision for safety and what is expected from the coachee to support that vision. Once the coachee has this new awareness and commitment, the final step is to bring it into action through practice. The coach will monitor the coachee’s progress during this phase. The goal is that, through practice, the new actions become habitual. If that is not happening, the coaching process can continue to discover what barriers are hindering the coachee. Register Now for the 6-Week Mastery in Coaching program and learn how to lead a coaching conversation and generate action in your teams using the ACTIVE Safety Coaching framework.